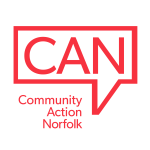 The In Good Company campaign is seeking to focus on promoting the wealth of activities and opportunities in Norfolk that are actively trying to combat loneliness among our older residents. The campaign also helps to give ideas to smaller groups and communities who are looking to set up initiatives locally, as well as linking people to volunteering opportunities. The campaign will be urging people to visit dedicated webpages. Here, visitors will be able to access the Norfolk Directory – a comprehensive online listings service where organisations can promote their activities or volunteering activities. It will allow people to make a personal pledge to do something, however small, to help ensure that no one spends a lonely day in Norfolk if they don’t want to. It will also be encouraging people to take to twitter using #NoLonelyDay.